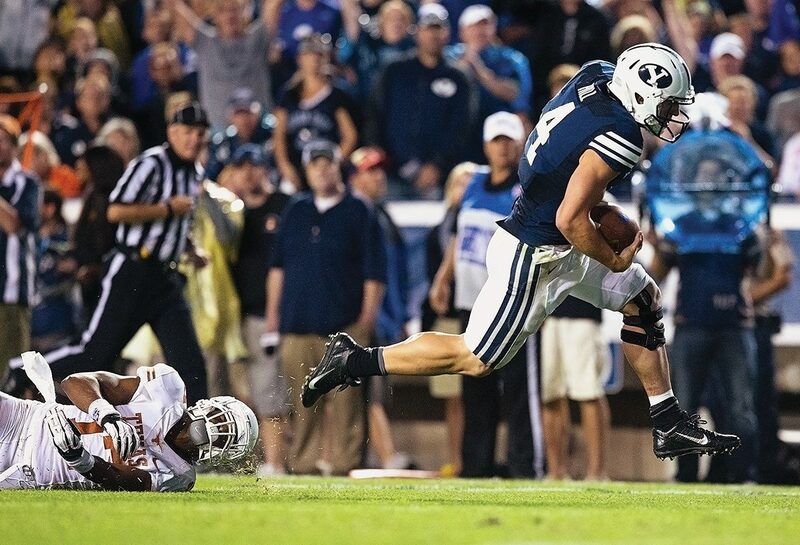 In a metaphoric twist, BYU stampeded the Texas Longhorns as QB Taysom Hill rushed for TDs of 68, 20, and 26 yards. 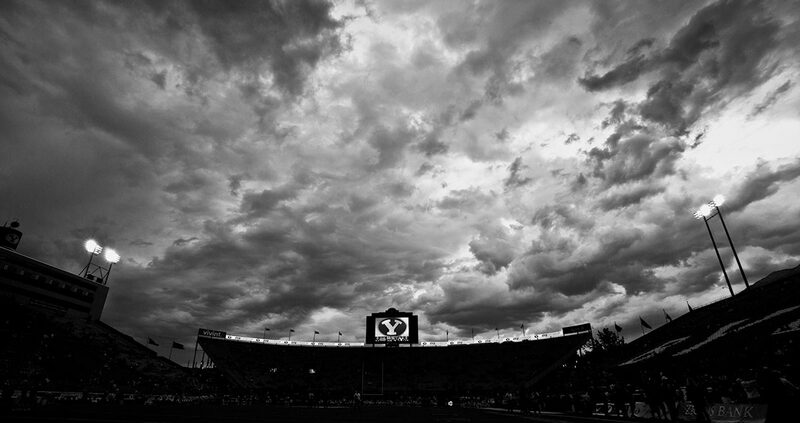 At about 4 p.m. on Sept. 7, as LaVell Edwards Stadium’s new Roar of Cougars student section filled with spectators, an ominous cloud reached across the sky—then dropped more than half an inch of rain in just 15 minutes while the air flashed with lightning and rumbled with thunder. 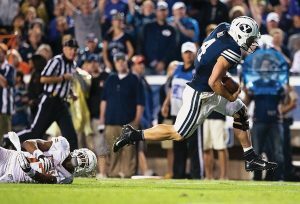 Following a two-hour weather delay, the BYU football squad matched the fireworks in the sky with footwork on the field, rushing for a school-record 550 yards en route to a 40–21 victory over the 15th-ranked Texas Longhorns. Quarterback Taysom S. Hill (’16) ran for three touchdowns—including a 26-yard burst up the middle (inset)—and tallied 259 rushing yards, the most by a Football Bowl Subdivision QB since 2005.